Posted in Improve New Product Launch, Increase B2B Sales, Product Management, Product Marketing, Why LeveragePoint? Why do 3 out of 4 new products fail? This is truly a sobering statistic considering that companies invest billions bringing new innovations to market. Even more concerning is that the new product launch success rate hasn’t improved in the nearly 10 years since the data was first collected. 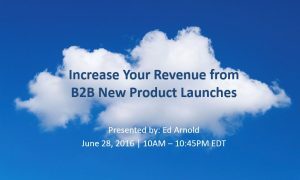 Watch this webinar where Ed Arnold, VP of Product, shares practical insights about how product managers can improve their odds of sales capturing early revenue for new product launches. This is based on Ed’s experience working with hundreds of innovative B2B Enterprises to create effective Value Propositions for their new products. 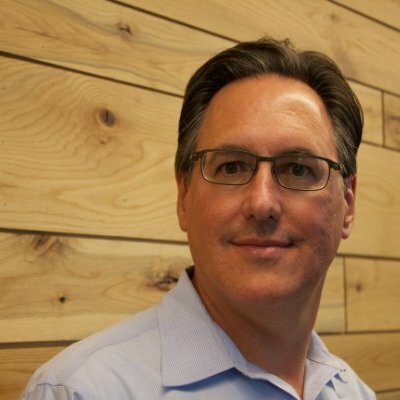 Ed Arnold is Vice President of Products for LeveragePoint Innovations. In his role, Ed manages customer relationships, provides training and coaching for new and exisiting customers, and provides strategic vision for the product based on his interactions with customers. He is a contributing author to the book, The ROI of Pricing. Previously, Ed held senior positions at Communispace, Diamond Management & Technology Consultants, and OmniTech Consulting Group. He holds an MBA in Marketing from New York University and MA and BA degrees in Political Science from Boston University.